Far too long since I have blogged, we had a fantastic break with family in Berlin to welcome 2014 and since our return to Korcula we have been working on new designs for our 2014 collection. 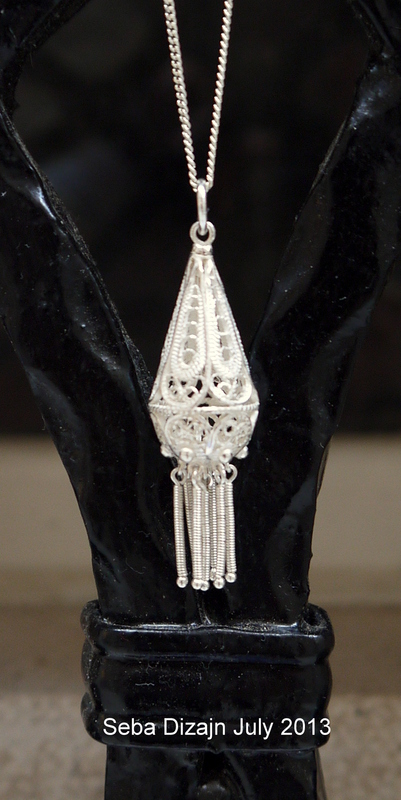 This open style of filigree bead has been popular as both earrings and pendants. We decided to add a new dimension to the pendants and have included a small coral bead in the base of the bead on the left, while the central bead has a coral bead suspended inside it. The third photo shows the original design. 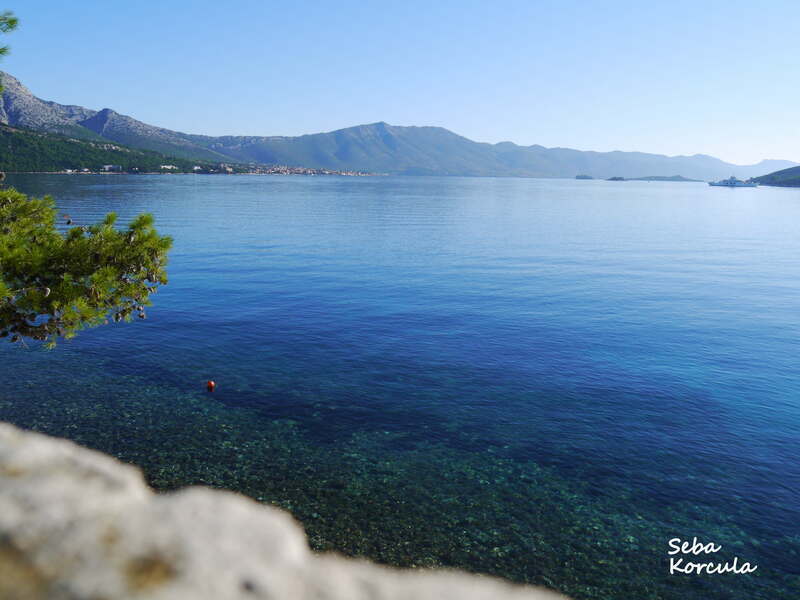 The blog piece that I am Re-blogging here shares the story of one of my friends Korcula friends and her business organising painting tours right here to Korcula. Read on, enjoy and if you are so inclined click on the links to Lynda’s website and learn more about Slikamilina Painting and Photography Tours. 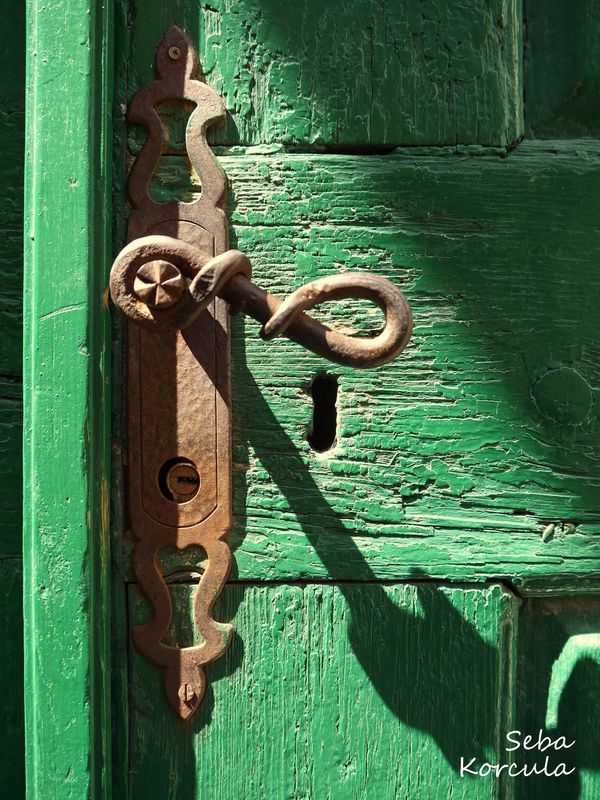 Green is a popular/traditional colour for doors and windows here on the Dalmatian coast so I guess the chances of meeting behind a green door were reasonably high. 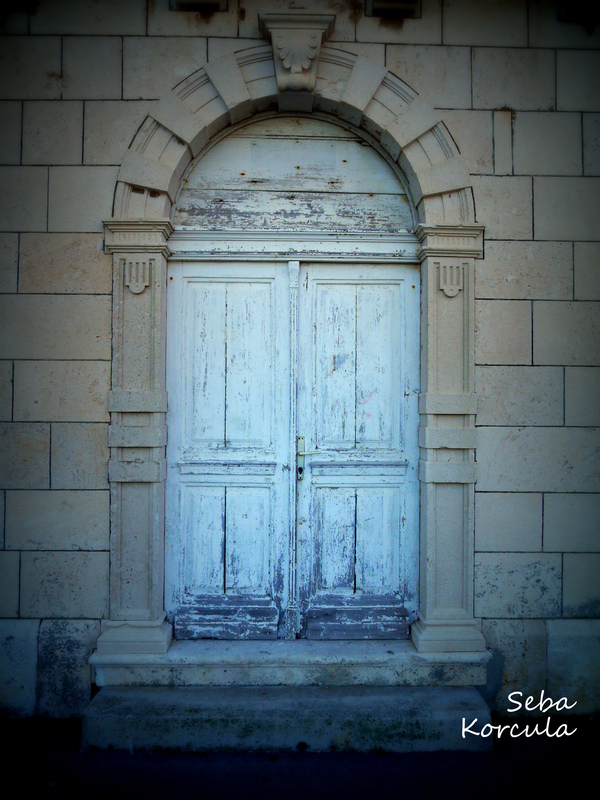 My ‘cyber friend’ Sarah-Jane of Chasing the Donkey fame recently blogged about the wonders of the many fantastic old doors she has come across in her Croatian travels…. 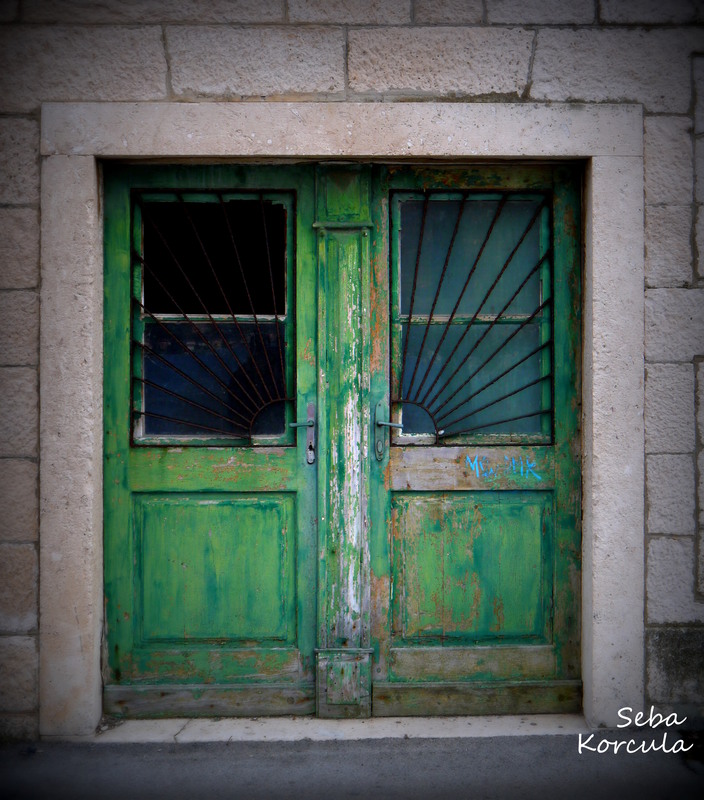 and I thought I would share some of my favourite Korčula doors with you. 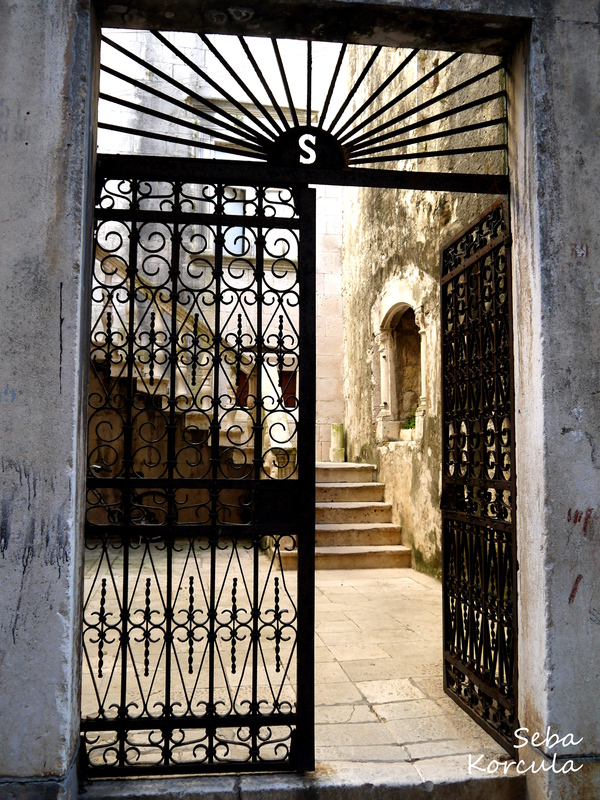 Wrought Iron S Door – there must be some other S’s here, this is not our door! 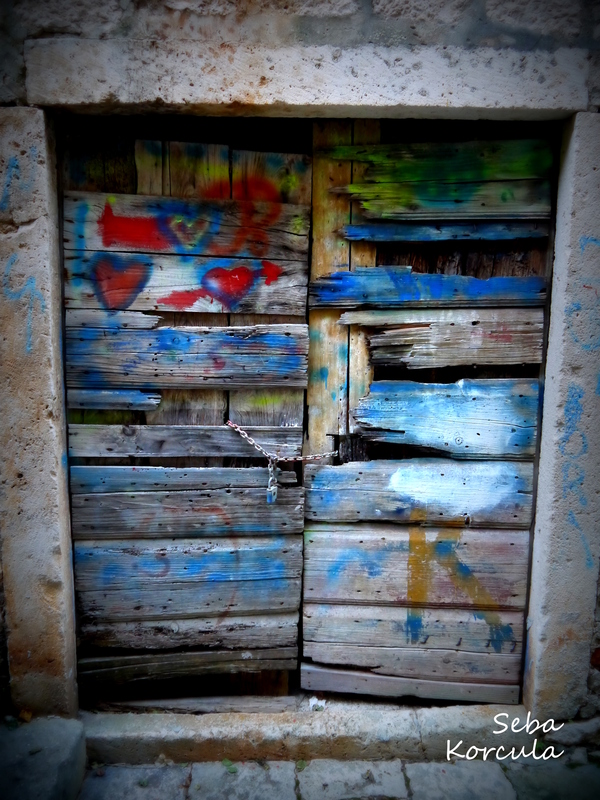 The love door – one of my favourites. What do you take photos of when you are on holiday? Are you a door lover too? 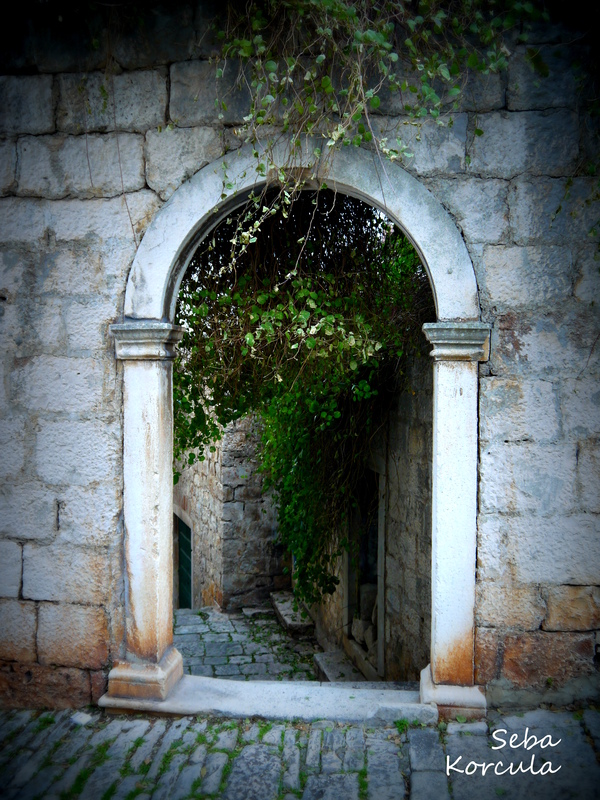 The third season of our Korcula store (Seba Dizajn) being open is drawing to a close. The weather is still stunning here on our wee Adriatic Isle and it is hard to believe it is almost November. make it even harder to believe that it is almost November, long may the gorgeous mornings last. This post to thank you, thank you very much for all of your loyal support, the fun and friendship. 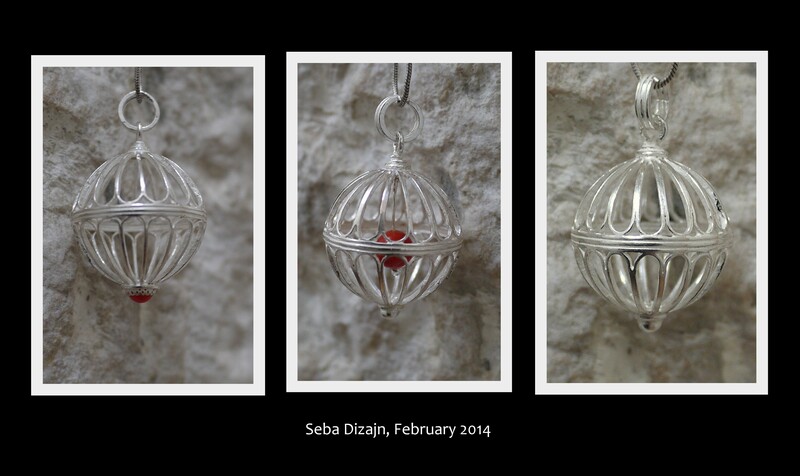 Seba Dizajn, officially closed for the end of the 2013 season last week. We are however still in town and happy to open if you are visiting Korcula, there is a good chance you will find us in the store creating some new pieces for our 2014 season or catching up on some paperwork. The ‘off season’ is our main production time. Earlier in the week I popped into the store to use our scanner and met a fun Canadian couple, Carol Anne and Tim, this fun couple are on a European Cycling mission and currently about 2/3 of the way thru their journey. I asked them how long they were spending in Croatia and was surprised to hear that they were spending two months here – a great choice! Tim pulled up the map of their journey, you can follow their progress here if you are interested, and we talked for 30 minutes or so about their journey and life here in Croatia. Last month we met a brilliant group of artists, here on a trip organised by Lynda Milina of Slikamilina Painting and Photography. We really enjoyed the group from Utah, fun ladies having a great time, loving their art tour, loving Korcula and loving the chance to see how we create our filigree jewellery. Interestingly enough one of the group members (Hi Georgeanne) had been following us on facebook for sometime and was really excited to meet us. I even sold earrings from in my ears to one of this keen group! We have meet several of our facebook page fans this year and for me this has been a real highlight of our customer engagement experience. It is so nice when people introduce themselves as existing friends of our page, how neat to meet the people who we have been sharing our work and lives with in person. And, further proof that social media real does help small businesses wherever in the world they might be located. Today it’s just me, paying some bills and blogging 🙂 – and I am about to head home for lunch. 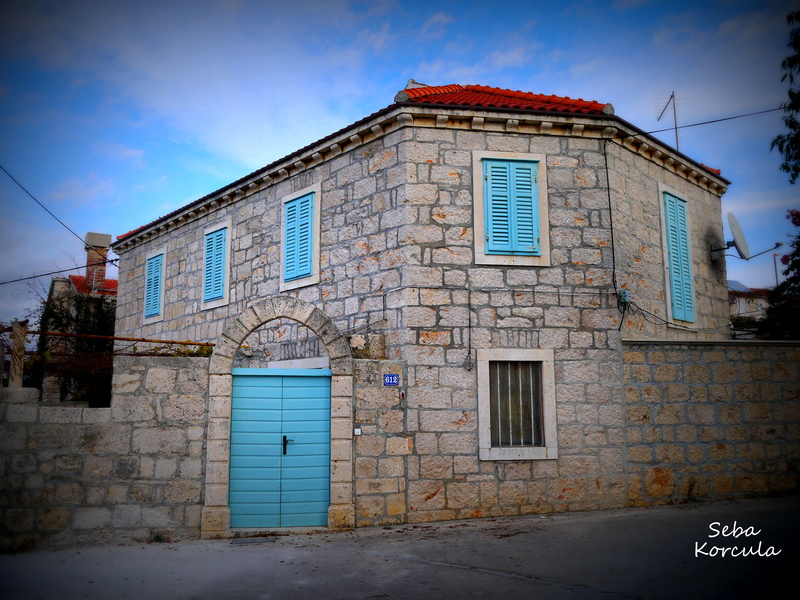 Please contact us with a quick email (sebacroatia@yahoo.com) if you are going to be in Korcula and would like to see our filigree jewellery, we are only 5 minutes away from the store and would love to come and meet you. Our support throughout this year has come from near and far and we appreciate each one of your comments, thoughts and purchases. Thanks! It’s been fun, let’s do it all again next year…. we have some many new ideas developing for the 2014 season, it’s going to be the best yet. Remember some of our products are loaded here on our website, Seba Silver – if you do not see what you are looking for there, please contact us as there are other options available – I am aiming to get some new products loaded onto the website this week. Remember we also offer a fabulous bespoke/custom made jewellery service, why not send us your ideas and let us create something unique just for you. Repairing and restoring a much loved bracelet. Earlier in the summer we received an email request from a customer who we meet in our store last year. Chris had a silver filigree bracelet that needed some repair work, and if possible an extension made so that she could wear it – without the extension the bracelet would be repaired for her daughter to wear. Chris sent us some images of the bracelet and we sent each other a few emails talking about the work that needed to be done and working out a price for the work. Approximately two weeks later the bracelet arrived in the post from Australia. A closer inspection revealed more repairs were necessary than we originally thought and we emailed Chris about this and were given the go ahead to do all that we thought the bracelet needed to fully restore it. The first part in the repair process was repairing and replacing the central beads of each segment, three pieces were missing and we thought it would be best to replace all 6 beads. Initial repair work, centre of each segment has been replaced. After the damaged pieces were repaired Doka then started working on the required extension. The bracelet needed to be 2.5cm longer than it had been. The original segments, as seen above, are 3cm long so we decided to recreate the original design in a slightly smaller frame. Creating the matching segment on slightly smaller scale. New pins were created to fit between each of the hinged segments and finally a new catch was created, then all the pieces were cleaned and polished. We sent a few ‘work in progress’ photos to Chris as the repair progressed but saved the complete work for a live inspection here in our Korcula store – Chris enjoyed Korcula and her 2012 painting tour with Slikamilina Painting Tours so much that she returned to Korcula this year for more painting. The completed bracelet, polished and ready to be worn and admired. 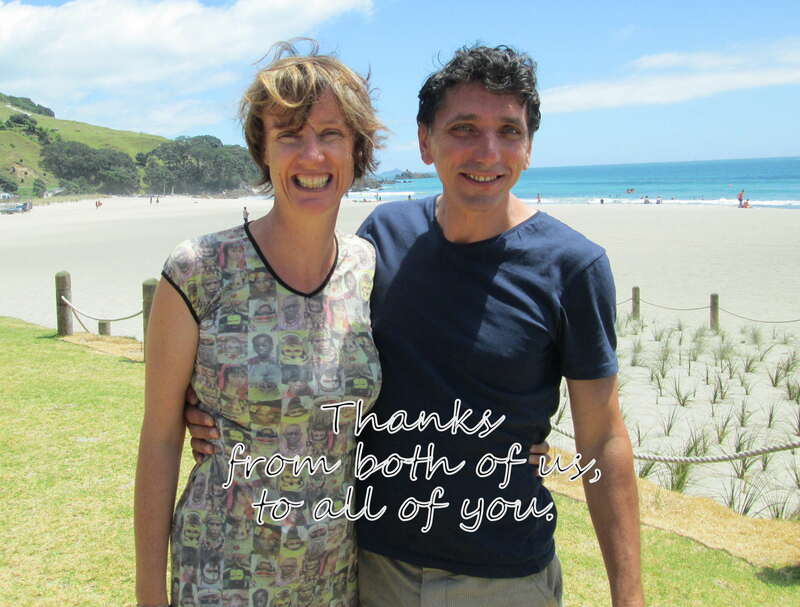 Chris was overwhelmed, literally – there was a tear in her eye and many thanks offered to Doka for all his work. It’s amazing, I can’t believe it, it’s like new, thank you so much. I wish we could have recorded her response on first seeing the bracelet – one of our best customer reactions to date! We learnt a little more of the history of the bracelet from Chris – her Dad brought it for her during the second World War and it was given to her when she was 18 years old. She wore it constantly while she was at University and even used a safety-pin for a catch when her original catch broke! Chris left the store this morning wearing her fully restored bracelet and she was so happy, we said our goodbyes at the door and I watched her walking down the street – I don’t think she took her eyes off her ‘new’ bracelet. During the summer we have the pleasure of meeting a number of friends from our Seba Dizajn facebook page, the set featured here was created for one of our facebook friends visiting from Switzerland. Natascha did not see exactly what she wanted in store, we talked a little more and worked out how long she was staying on the island and what she was looking for. 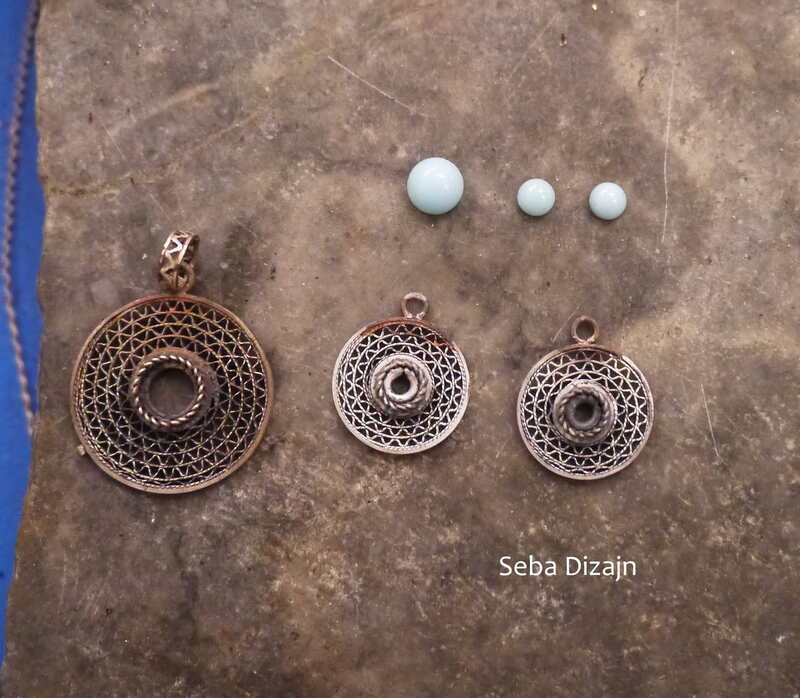 The filigree and turquoise set that we created for her and some of the production process can be seen here. Creating the zigzag pattern for bespoke set. Ready to set polish before setting stones. 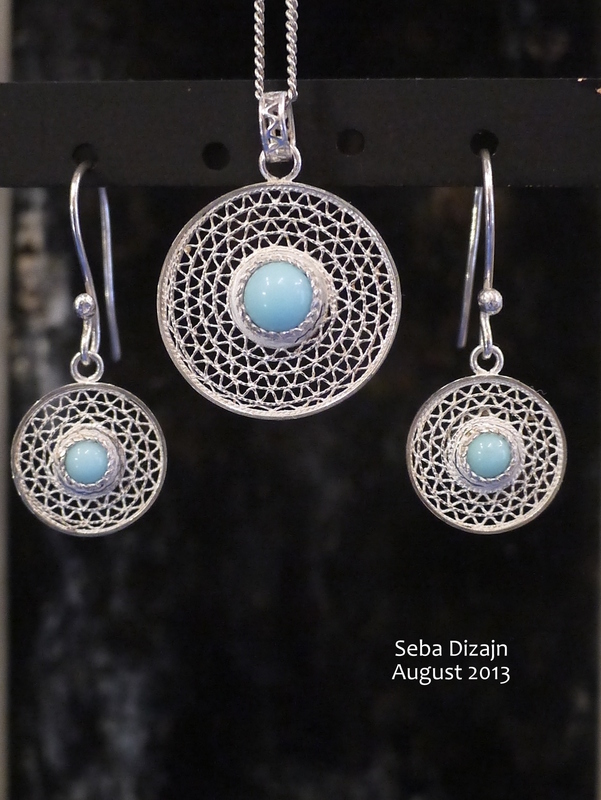 The completed set – Filigree and Turquoise Pendant and Earrings. Natascha was delighted with the set, and left the store wearing her new jewellery, the perfect advert – a happy customer wearing beautiful jewellery. Slow and steady business growth during a quiet season. While the blog side of life has been quiet our third season here in our Korcula store has been busy and we have met some great people and made some wonderful pieces of jewellery. It is hard to believe it is already September, some slightly shorter store opening hours have started (currently 9am – 9:30pm daily) and I am aiming to re-launch our blog with weekly updates. It is nice to have a bit of time to re-focus here and I look forward to sharing some of summer projects with you. The piece on the left was a customer request, not seeing exactly what she wanted here in the store she decided to ask could we create ‘a teardrop shaped bead with a dangling silver fringe’ – sure! It is so nice being able to create something unique for someone that we have met and seeing how happy they are with our work. Our facebook page and twitter accounts see a growing number of followers and we are enjoying interactions with our friends there. We have also started a G+ account and our store location has been verified so you can find us via Google Maps if you are visiting Korcula and wondering where we are – Ulica de Polo, beside the Marco Polo Tower. The range of online networks have all been useful steps in helping to promote our business. 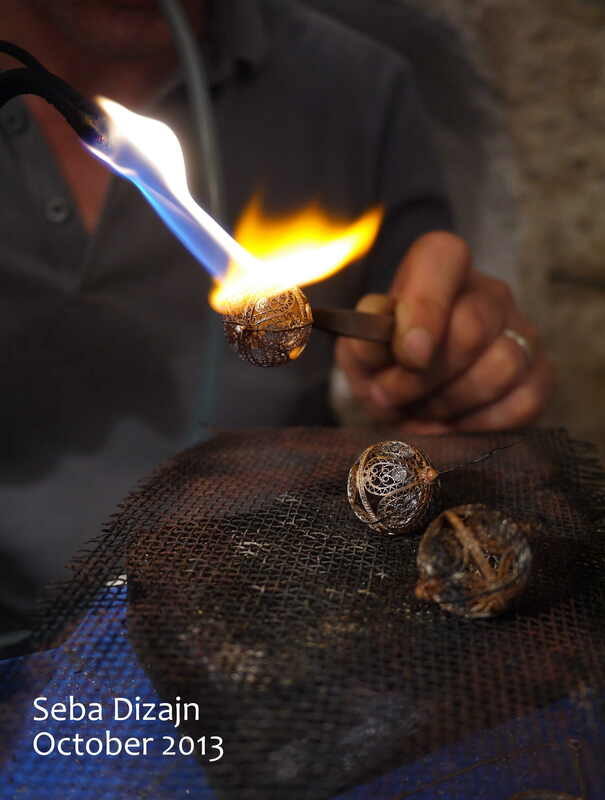 We have also reached out to a number of tour operators to let them know that we offer the chance for visitors to Korcula to see, learn about and enjoy watching how our filigree jewellery is made. 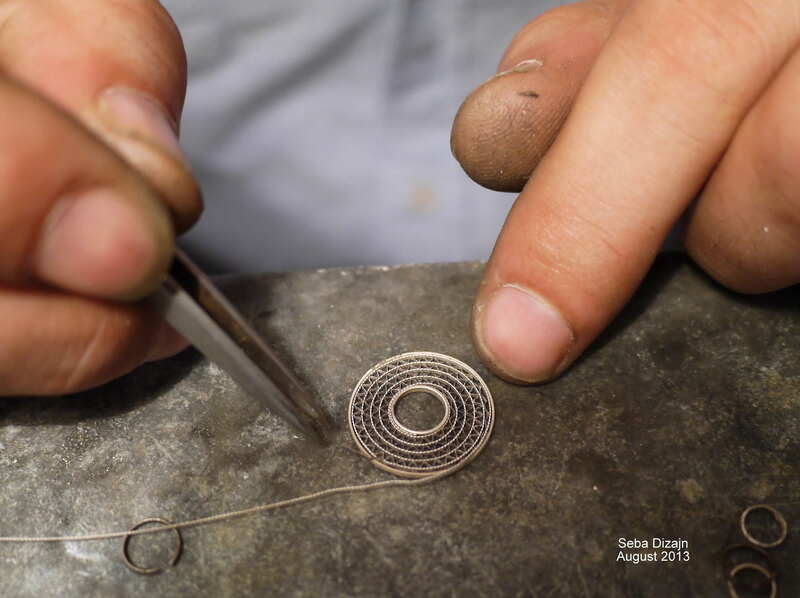 We encourage questions from visitors and enjoy sharing the family history of filigree making and the steps involved in creating each of our pieces. We have also increased our range of jewellery, adding some wonderful new products. We are currently working on a Filigree and Pearl range and aim to have this loaded onto our website this week. Thanks for your patience with our often neglected blog, we hope you will re-join us for the rest of 2013 and enjoy our continued journey and growth of our Filigree Jewellery business.